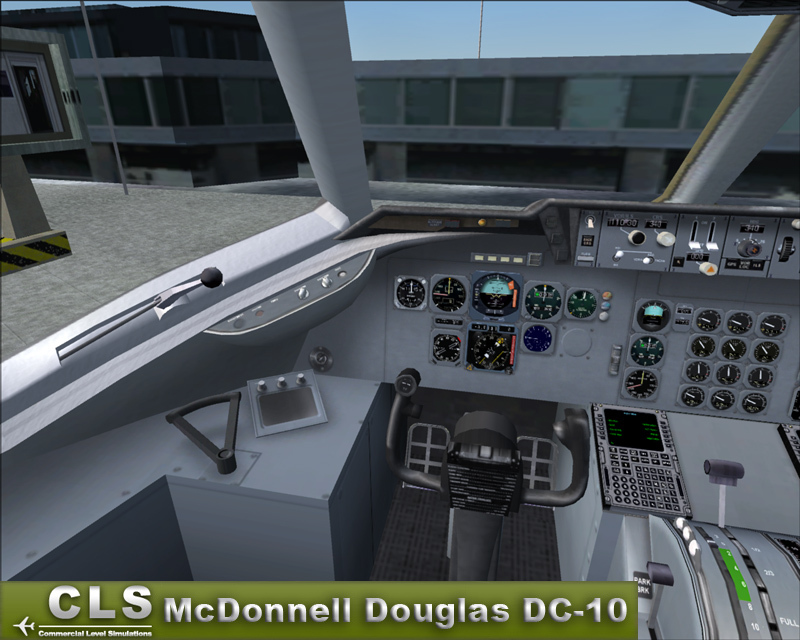 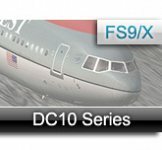 This product is compatible with FS9 and FSX. 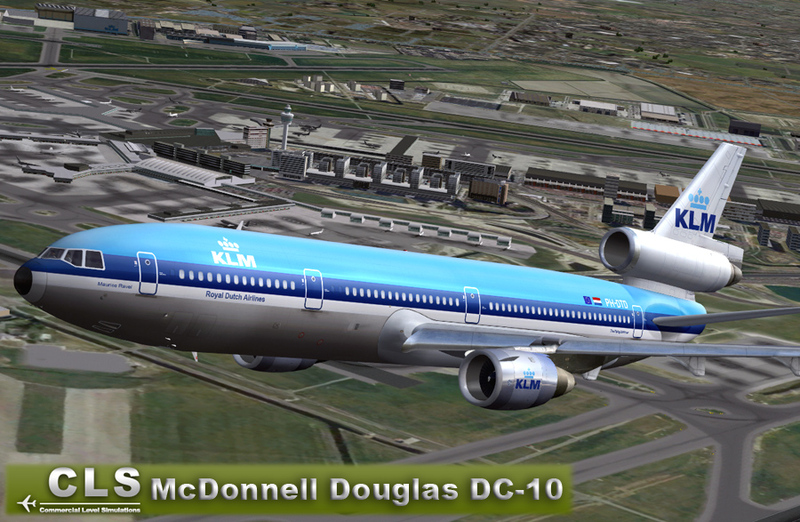 However not compatible with DX10 preview mode. 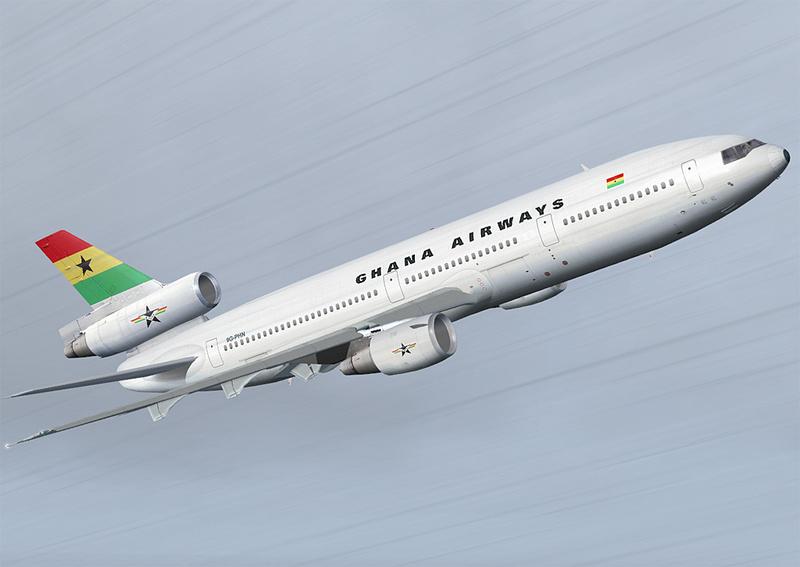 This product requires internet activation. 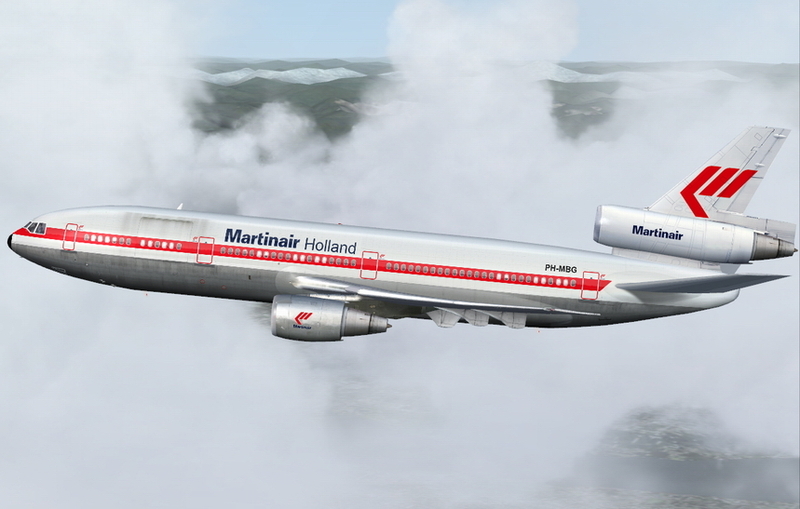 This great package includes up to 15 models with over 30 different liveries to enjoy! 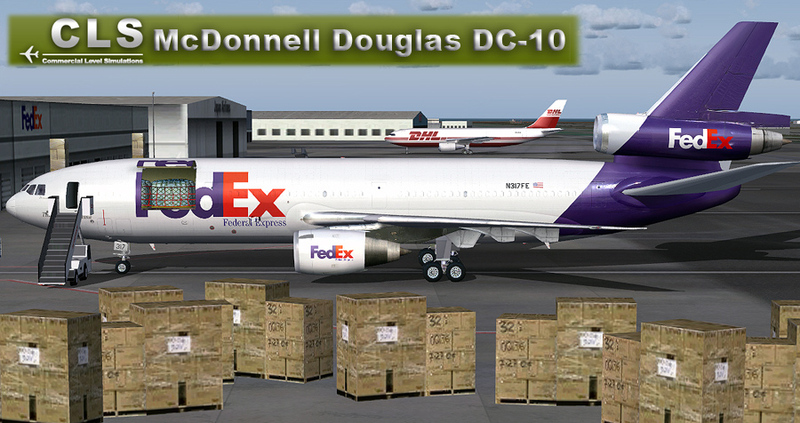 Next to the passenger models and cargo models we also included two military models. 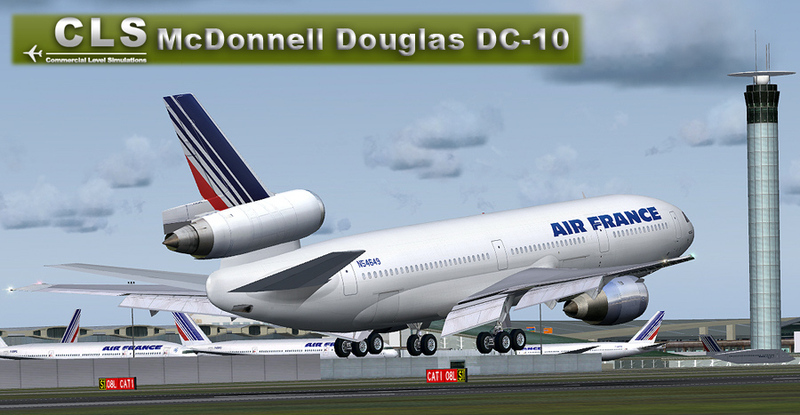 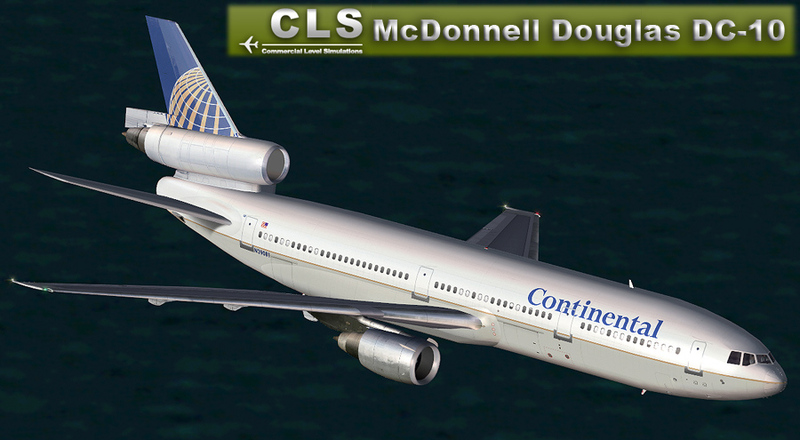 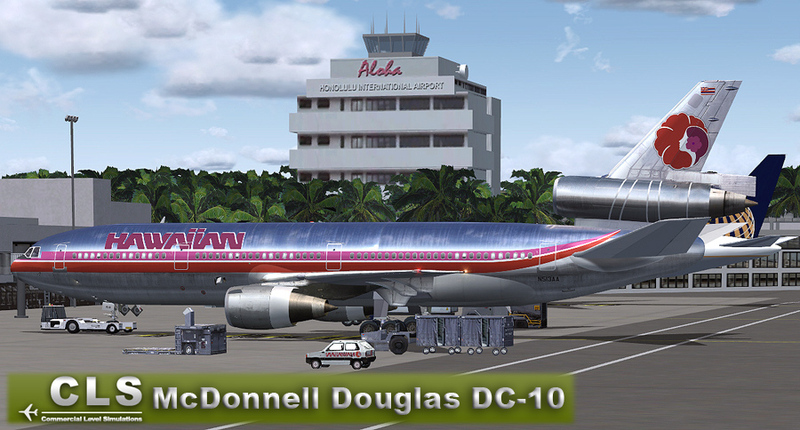 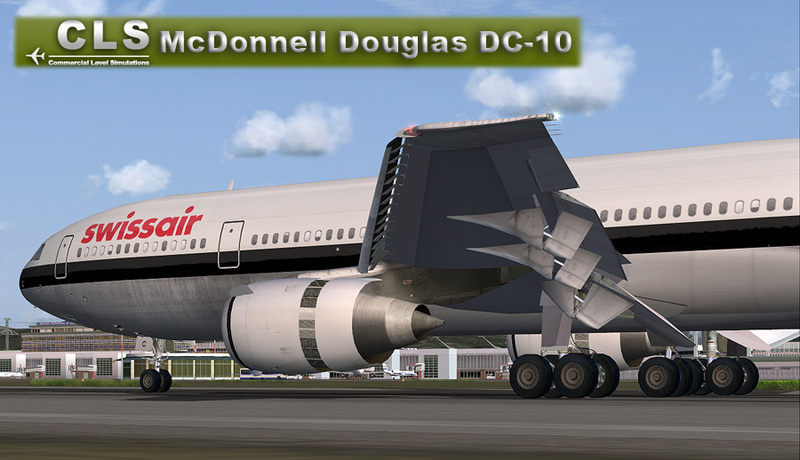 6 DC-10 flight models based on Boeing specifications: DC-10-10, -15, -30, -40, KC-10 Extender, and KDC-10 Refueler. 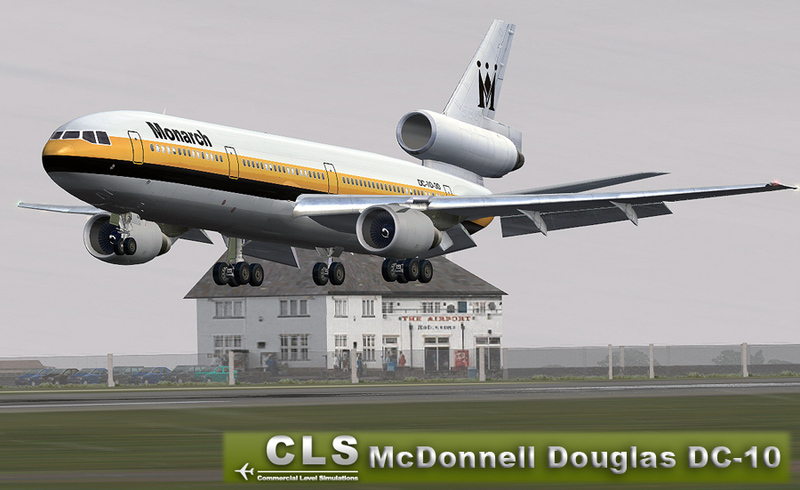 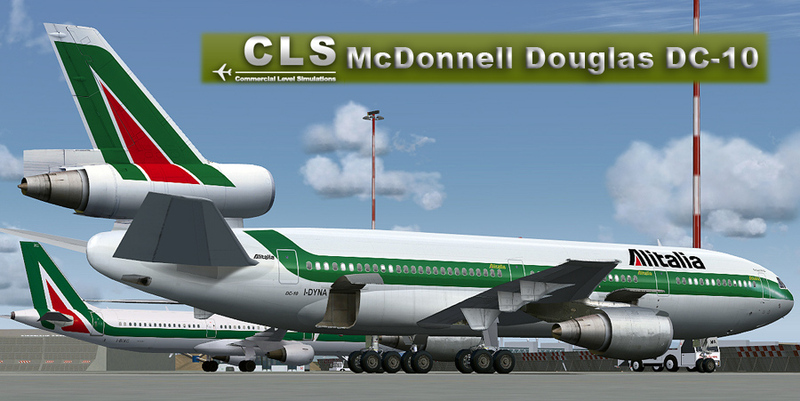 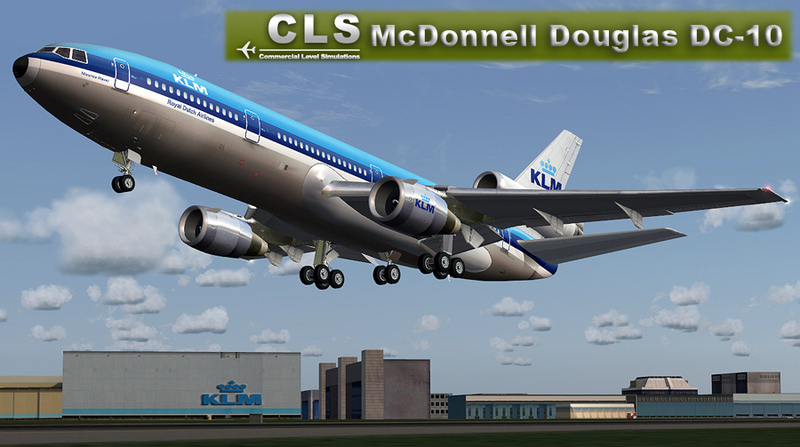 CLS DC-10 Operations Manual, with full flight example complete with weather charts, dispatch report, performance sheets, checklists, and pilot weight manifest sheets. 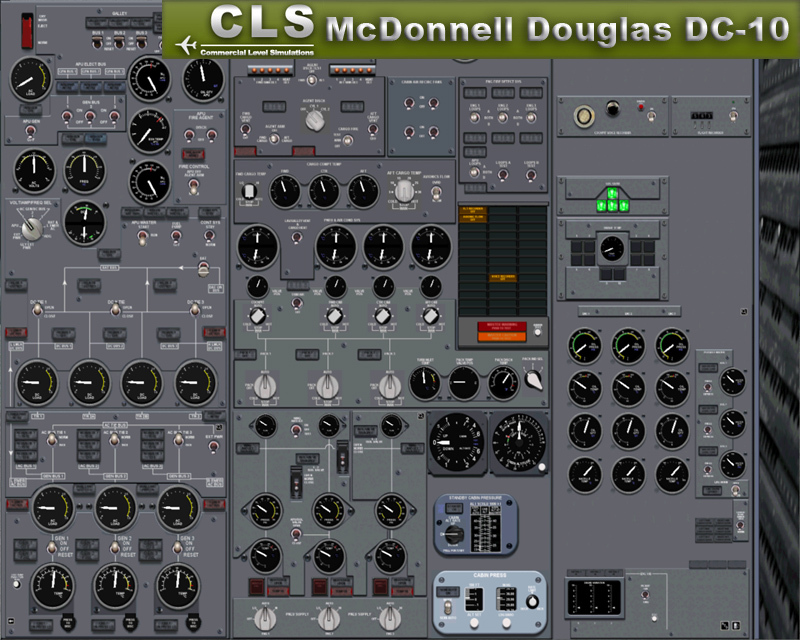 Full analog Pilots, Co-Pilots and Flight engineer panels. 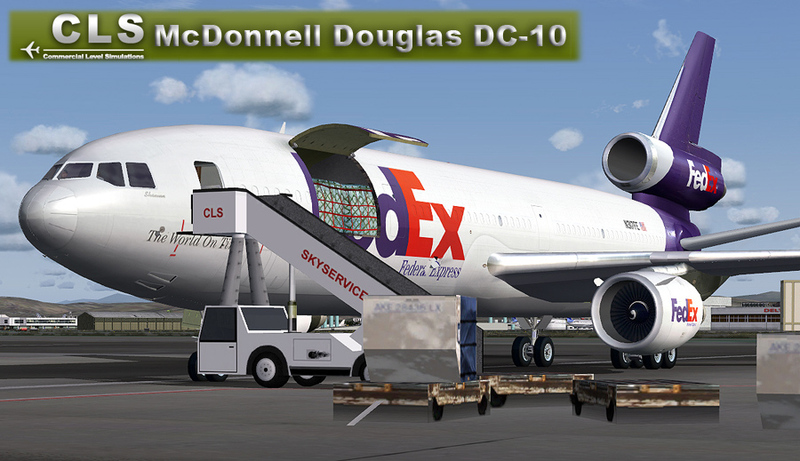 Also included is the Overhead, Throtlle Quadrant and Radio stack. 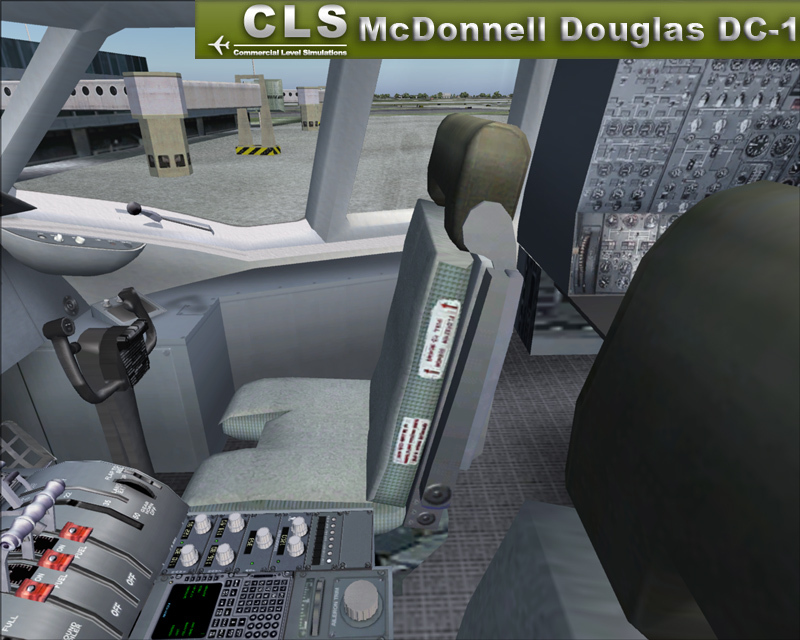 Flight Engineers station has expanded pop ups for easier viewing. 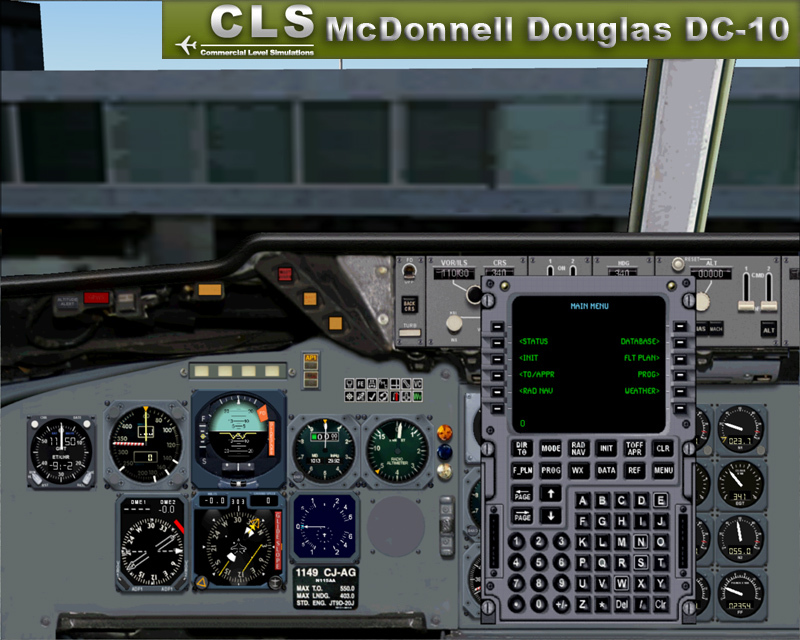 Limited function FMC which allows for SIDs and STARs in the MSFS database, Radio and Navigation frequency entry, v-speed calculation, "direct to" waypoint features, progress display, estimated fuel on board, and more. 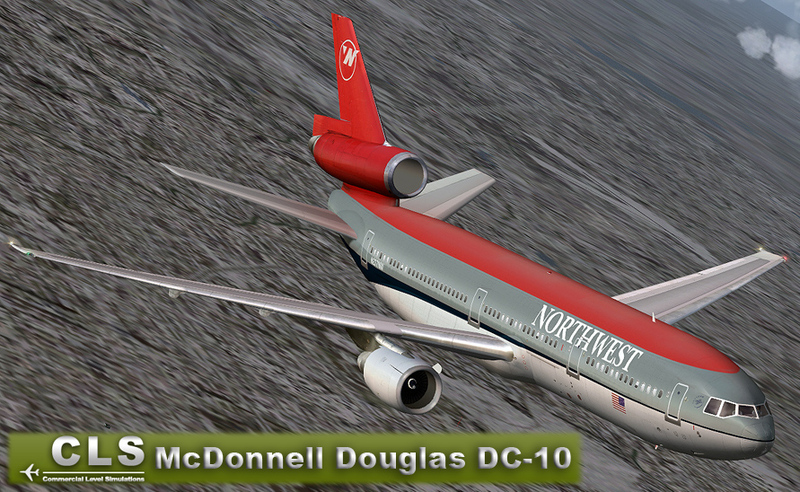 - 128Mb 3D graphics accelerator card.